Major League Fishing (MLF) officials today announced a significant expansion beginning in 2019 with the goal of dramatically growing visibility and participation for the sport of fishing. The plans will help realize the founding partners’ original vision for MLF to elevate competitive bass fishing and its top-tier pros to a national exposure level and grow a fan base on par with other top major league sports. Today MLF tournaments reach a bigger audience than any other tournament of their kind, and television ratings and independent surveys consistently indicate the fast-paced, action-packed format resonates with anglers of all ages, and is especially effective at reaching the youth audiences essential for achieving long-term interest and growth. MLF was formed in 2011 when Boyd Duckett and Gary Klein convinced television executives at Outdoor Channel to share their vision and invest in the concept for a live-action style broadcast during which all anglers could keep track of how other competitors were doing via on-board scoreboards. MLF also airs on World Fishing Network, CBS, CBS Sports Network and Discovery Channel. For current MLF schedules, rules, pros and sponsors, visit MajorLeagueFishing.com. About Major League Fishing: Developed through a joint effort between Outdoor Channel and the PBT anglers in 2011, Major League Fishing brings the high-intensity sport of competitive bass fishing into America's living rooms in the form of riveting two-hour TV episodes. World-class anglers are filmed over the course of a six-day event. The show captures their efforts as they utilize a demanding format that allows them to weigh all the "scorable bass" they catch. Unlike other competitive fishing events, live leaderboards in the boats allow anglers to know their standings at all times. 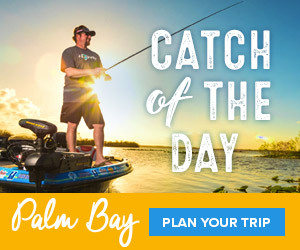 For more information about the game, visit www.majorleaguefishing.com and follow Major League Fishing on Twitter, Instagram and on Facebook.